My mind drifts from one thought to the next. My bedsheets are finally warm. I roll to one side, then to the other. After a bit of adjusting, I find myself on my back. My eyes shut. I wait restlessly for sleep to find me. The house is so deadened of people and activity that the air feels heavy and stagnant. If someone were to walk into my room right now, they’d think it was a tomb. Lying here, I think of this time when I was five, and my mom was watching me in front of our house. I was riding my tricycle on the sidewalk, and I flew past her and shouted, “I’m flying!” I always believed I was a plane pilot on my tricycle, and later on my bike. But I’ve outgrown make-believe. I laughed and repeated, “I’m the best pilot in the world!” I pedaled down the road, before turning my tricycle around to face her. I stared at the road—the imaginary runway—as it continued on in front of me for what seemed like forever. My flashback is cut short when I hear a large buzz coming from outside my window. It sounds electric—like a weed-eater. Only, it’s so loud that I have to cover my ears. But the buzz is secondary to the light, which flashes so brightly I’m momentarily blinded. I sit up with a start and see the white light dissipate as rapidly as it arrived. I grab my glasses on the nightstand, and within a half second I am at my window, pulling up the blinds and staring out across the night sky. I see nothing, but that doesn’t stop me from darting out of my room, down the wooden stairs, and out the back patio door. My bare feet feel cold as I run through the blades of grass. The night air cools my arms and legs too. But I have to run after that light. I have to follow it, and when I make it to the edge of my yard, I realize I am trapped by our chain-link fence. Standing there, under the crystal clear sky, I worry that the light is long gone. Then again, it might have landed somewhere near me, in the forest. As this is the first time—and might be the only time—I’ve witnessed a likely UFO encounter, I have no choice but to chase it. I bolt inside and run up the stairs for my shoes and hoodie. There’s one white sock under a sweater. I toss books aside and find a black sock. It’ll have to work. Time isn’t on my side, and I’m getting frustrated. I grab a sweater, which says WHITEHALL HIGH TROJANS on the front in purple letters, with a purple armored helmet underneath. I hate this sweater, but it’s the only one within reach. As I turn to my door, there’s a silhouette blocking my escape. “What in the Lord’s name are you doing? You should be in bed.” Even five feet away, I smell the beer on his breath and clothes. “I have to . . .” I can’t tell him. Not moving from the door, my dad seems like he gives zero shits about my frantic pace. “I need to go!” I say. “I’ll be back soon.” Though, I hope that’s not true. My dad, even drunk, can enforce his parental responsibilities. He works at the Golden Sunlight Mine and always has a five-o’clock shadow and dirt under his fingernails. His clothes always look like they should’ve been shredded into rags years ago. This is a matter of life and death, after all. I notice that as my dad approaches me, my door is left wide open, so I dart past him. But I trip on a pile of clothes, and the next thing I know, I’m facedown on the floor. I roll over, and my dad is towering above me like a giant. My heart beats heavily at the thought of the UFO flying away. I just stare at my dad. He makes no effort to help me up. Instead he walks to my window and searches the sky. “Nope. Nothing out there. Nothing ever out there.” The blinds hit the windowsill with a definite thud. He lets go of the string and steps over me and heads to the door. “Get to bed. But I’m glad to see you’re wearing your birthday present.” He starts to close my door but then stops. “And you know better than to try to run away like that. What has gotten into you?” My bedroom door slams shut, and my world shakes. I sit on the floor, unable to chase after the one thing that came to save me. Though, my search is far from over. 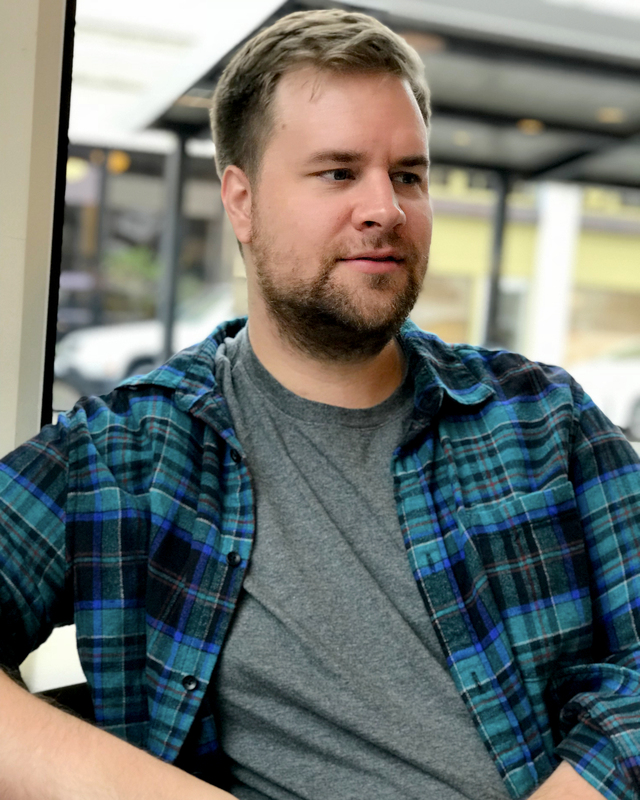 Justin Olson was a high school English and theatre teacher from Montana who has since moved to Los Angeles where he now works as an independent film and TV producer. He has published non-fiction writing in national magazines and regional newspapers, as well as poetry internationally. 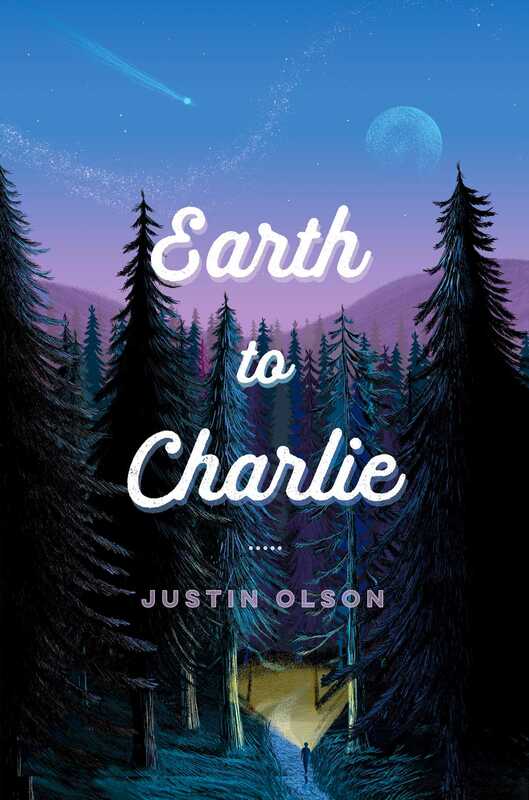 Earth to Charlie is his first novel.